One of my earliest childhood memories is going to the Odeon cinema on Lothian Road in Edinburgh every Saturday to see a kids movie, super early. The cinema for me has always been pretty magical down to my childhood memories of going to the cinema with my little brother and Dad, I love how a trip to the pictures feels special, the popcorn, the trailers and the anticipation of the film. I was in London earlier this week with college on a trip and one evening we headed along to The Electric Cinema in Notting Hill to see The Wolf of Wall Street. Before our trip I looked the cinema up online and was really excited about it, it looked so luxurious and glamorous, yet my expectations were nothing in reality to how amazing The Electric Cinema is. I can think of few words to sum up how fabulous the cinema was, but a few words which seem only fitting are opulence, glamour and decadence. Seated in big comfortable red leather arm chairs with foot stools in front and cashmere blankets should you get chilly, I don't think I've ever been happier sitting in a cinema. And I haven't even mentioned how happy I was to be watching Leonardo DiCaprio for over 3 hours! Offering up a selection of wines, beers and spirits as well as delicious cakes, hot dogs and home made tortilla chips and dips (which I settled for along with a glass of white wine, perfection) I'm not quite sure how popcorn in my local multiplex will be able to live up to my new expectations. A blurry glimpse at my happiness and content, waiting for TWOWS started! 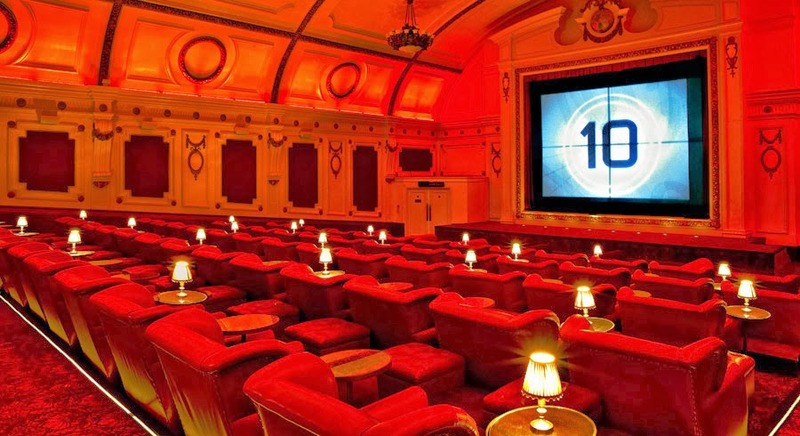 Alas I'll just have to wait till I'm next down in London to visit The Electric again, a must for anyone visiting or living in London, though a little pricier a night watching a film at The Electric is unlike any other. 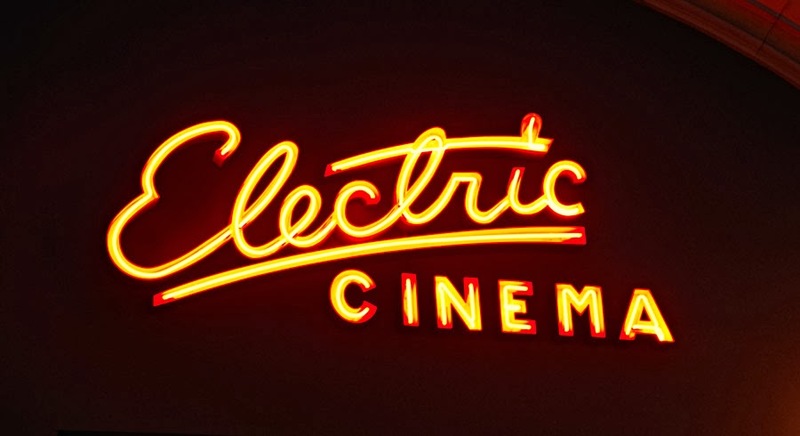 For more information about The Electric Cinema click here. I keep meaning to go here. It really looks like a cinema trip with a difference! Great choice of film too!